The Military is going after Aureliano Guzman Loera, alias “El Guano”, brother of Joaquin “El Chapo” Guzman, who has been at the forefront of the fight against the Beltran Leyva brothers which has been ongoing in the mountains Badiraguato. Alfonso Duarte Mujica, General of the Third Military Region now says that the sons of “El Chapo” Guzman gave the order to ambush the military convoy, in which five soldiers died, while the military troups are now focusing their search in the area where the drug trafficker may be hiding. In Culiacan they are also continue operating to undermine the structure of the Sinaloa Cartel. On Monday, more than 20 homes were raided in search of cells involved in the ambush. Officially, only three detainees have been reported along with the large seizure of armaments. No more information about important detainees. At least 50 military trucks were counted during Tuesday and Wednesday of last week as they passsed under the arches of the municipal entrance of Culiacan. Their destination: the area where the Mexican Army thinks “El Guano”, Aureliano Guzman Loera may be hiding. The brother of “El Chapo” Guzman became the main objective of the Mexican Government after military intelligence sources identified him as the main suspect in ordering the rescue of “El Kevin”, Julio Oscar Ortiz Vega, leading to the military ambush on Sept 30. The hunt for the capo, who controls a large part of Badiraguato, began last week when Sedena, the Secretary of National Defense deployed the convoy of over 50 military vehicles to install Military Bases in the communities of Huixiopa, Arroyo Seco, and La Tuna, zone of operation of “El Guano”. Mario Valenzuela, mayor of Badiraguato, confirmed the presence of the soldiers in these towns. “We don’t know with certainty what the strategy of the soldiers will be, but the presence of the Military has once again led to families leaving their homes for fear of the return of violence will return to their villages. In Sinaloa, searching for Ivan and Alfredo Guzman, sons of “El Chapo”, seems to have been put aside while they concentrate on the capture of “El Guano”, and the US is maintaining secrecy about DEA operations in the region according to inquiries made by Riodoce in Washington D.C.
“We will not say if we are looking for him, much less where we are looking because this information is confidential, what is definite is that we are going after people that send narcotics to our country”; said the spokesperson for the DEA in Washington when we questioned whether the US was participating in the hunt for “El Guano”. Nevertheless, on the DEA website, Aureliano Guzman Loera was not identified among the principal fugitives named, and the three principal objectives to be located are: Ismael “El Mayo” Zambada, Rafael Caro Quintero, and Nemesio Oceguera Cervantes, alias “El Mencho”. Aureliano Guzman Loera has maintained a relatively low profile. Operating in the shadow of Joaquin "El Chapo Guzman" , "El Guano" mainly coordinated security in the area known as The Golden Triangle and assured that the production of poppies and marijuana met the demands of the American market operations. Since the capture of "El Chapo" in Mazatlan, Sinaloa on Feb 22, 2014, "El Guano" acquired the authority to decide on what he considered best for their territory. One year later, in April of 2015, he made his first big decision as the new boss: Whether or not to kill his half brother, Ernesto Guzman Hidalgo, for apparently " collaborating with the government to help capture him so that he himself could keep control of Badiriguato ". "El Guano" opted to kill Ernesto Guzman. At the time, "El Chapo" was an inmate at Altiplano Prison, but from there he learned of his brother's actions. Sons, nephews and grandsons of Ernesto planned their revenge against ''El Guano" and his principal operative Cristobal Muro, El 02. 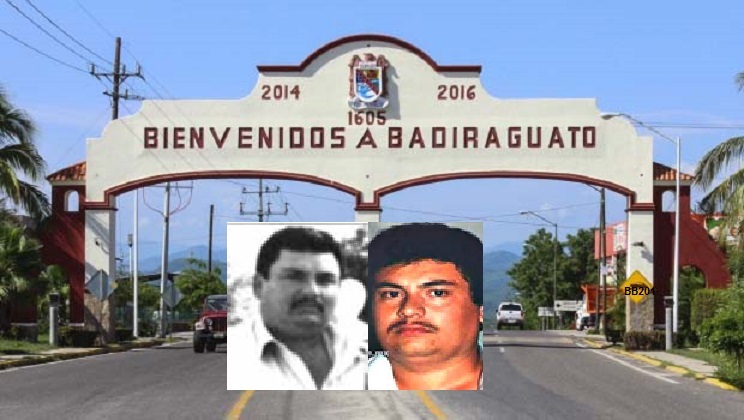 A cousin of "El Chapo" explained to Riodoce that once the boss was free, the first thing he did was go to see "El Guano" , punched him and denounced him for ordering the murder of his own brother. "El Guano" had won the fight with the Beltran Leyvas, according to facts gathered by reporters for Riodoce, in Bacacoragua and Huixopa, Badiriguato, where they saw "El Guano's" people patrolling the area, who assured them that they had taken control of various towns, and were indeed "people of Senor Guzman".Sept 29 at dawn there was a confrontation in Huixopa between factions of the Army and "El Guano", leaving at least two wounded, one of the Julio Oscar Ortiz Vega , "El Kevin", who was transported toward the hospital in Culiacan for treatment of his wounds sustained during the confrontation. At the entrance of Culiacan, neighbors nearby heard the gunfire and shots of AK47s and Barrets, which took the lives of five soldiers; the first versions of the story accused the brothers Guzman Salazar, although later it, the ambush, was clarified to be by the order of "El Guano". Days after the ambush, the city of Culiacan filled with soldiers. Gunmen from different factions of the Sinaloa Cartel show signs of disagreement, for according to them, heating the plaza "doesn't benefit anyone". Since then, the underground word is that Ivan and Alfredo did not order the attack, but it was the work of their uncle: Aureliano Guzman Loera. “We have never seen so many soldiers killed and we are sure that it is not going to stay like this, these guys are not going to just stay here with their arms crossed", said a gunman that works for Ismael Zambada, "El Mayo". “So you did not take part in the executions?" , we asked the hitman. "No, it has been said that we did, but no, it wasn't us, it was people that work for the Uncle, "El Guano". One hitman that lives near the community of El Naranjo, in Badiriguato, told us that they had orders not to involve themselves with the government or go near Huixiopa, where they believe the search will begin for "El Guano". "What this guy "El Guano" did, we don't do that, because this will heat up the area, and now the government is going to come in with everything to go after this guy", said the hitman, who was patrolling the area outfitted with a bulletproof vest, grenades, a bazooka, and an AK47 rifle, moving in an area controlled by Rafael Caro Quintero. Valenzuela Lopez, the first contact in Badiriguato, explained that as of now, no abuse on the part of the military has been reported, in spite of their dense presence in the mountains of this municipality. According to Riodoce sources, the Military have been very aggressive, taking total control of the monitoring systems of the city and the prison, integrated with C4, with the intention to trap and detain not only "El Guano", but all members of the state and municipal police that may have been involved with the death of the soldiers, including the making of a strong operation in the Aguaruto Prison, although this information has not been confirmed. They already have reason: during a similar operation last May in Aguaruto they found large and small arms, drugs, cellphones, and many extra privileges for some prisoners. According to a Military report accessed by Riodoce, in one of the cell blocks which housed Rafael Lugo Cruz Romero and /or Rafael Alvarado, "El Rafa"! oversaw the rest of the prisoners and inside his cell five mattresses were found that were being used by persons that served as his bodyguards. In the closet designer brand clothing was found along with nine pairs of Gucci shoes. This time, The Army warned the State Government that "the kinds of things that are going on here cannot be occurring without the permission and knowledge of the authorities responsible for the revisions, the security and the administration of this prison facility". The investigation was followed up by a report unfavorable to all those responsible. The Army cited the director of the Center, who was in charge all supervision and responsibility of the facility, the guards who were in charge of the direct security of the prisoners, the judge who handed down the sentences of the crimes committed had obligation to visit the Center weekly to verify the conditions, and the sub-secretary of public security, prevention and social reinsertion, along with the director of prevention and social re -adaptation, both which were direct supervisors to the director of the Center. The members of the Interdisciplinary Technical Counsel also must of had knowledge of the circumstances of the social reinsertion wing. According to the same report, made on January 1, 2016; construction began on the luxurious cellblocks, after December 14, 2014 when certain prisoners arrived at the Center, this information coming from sources who were locked up at that time, but since had been released. 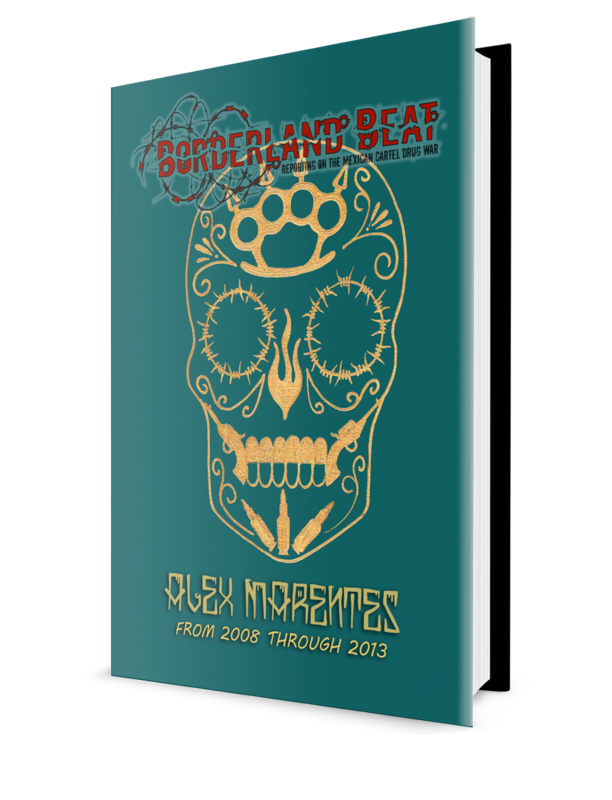 Between 2011 and 2016 there were several escapes, one in which 26 prisoners had escaped, among them, Adelmo Niebla Gonzalez, en May of 2014, and who identified himself as an associate of Joaquin Guzman Loera. The Military was determined not to let anything else go on and they acted on that premise on the morning of Oct 16 when 30 soldiers of the Mexican Army took by force the Seguro Social Hospital facilities where they found four policemen guarding a detainee. The action by the Military was in response to the omission of an accident report by the Secretary of Public Security and Municipal Transit , which occurred on Friday Oct 14, on the Costa Rica Highway in which an entire family was killed. According to witnesses, the Military entered the hospital in a violent manner, although they did not comport themselves aggressively to anyone other than the four municipal policemen, who they threw against the wall to disarm them and question them as to the identity of the person in custody. "This is hardly the beginning, Culiacan is going to heat up once again, even more than it was before, and this will only end when they kill or arrest " El Guano". Biographical information of "El Guano"
December 24, 2015, he was almost apprehended by the Marines, when he was found at the family ranch, La Lagunita, but he managed to flee. His power is limited, although he controls more than 120 gunmen at his service in the area that includes La Tuna, San Jose del Barranca, Arroyo Seco, La Palma, and El Nogalito, principally. His works mainly consists of supervising the planting of the poppy and marijuana fields and controlling the production of heroin. Contrary to "El Chapo", he does not maintain a relationship with "El Mayo", Ismael Zambada nor other leaders of the Sinaloa Cartel. I'm not questioning BB but how is it known that guano has no relationship with el mayo? El Guano is quiet, and has virtues like humble and humility. These are good virtues even if can appear not so when in the advantage of Mexico. Wow, It's just a matter time for El Guano. El Chapo pissed at him and the Chapitos not going to intervene. El Mayo giving instructions for his sicarios to not get involved. Damn, somebody will end up dead for sure. Maybe the military will return the favor by giving up El Guano to Tito's people for payback. i been telling all along this is guano vs alfredito along with esparragoza. not CDS not CJNG. not rafael caro quintero. chapo got mad at him chapo killed el 02. thikning that wpuld cool things down. but it didnt. the raid at the tuna. hes mother was take away so she could not see they the vilence and that they were seeking el guano. chapo agreed not to interfere. as he knows guano fucked up. but guano is going to fight back. he would go down using the voiolence and force. this war he has it lost.. pura gente de guzman. Joaquín got mad at his brother, Aureliano, and killed his brother's friend? Did Aureliano get mad at his brother, Joaquin, and kill his friend before his friend was killed? Hopefully, they turn the uncle into the bat crap fertilizer that he's name for. They are not going after Mayo or Chapos kids and maybennot even Guano. This goes to show that this is all for show and they are killing low level targets only in Sinaloa like the almost extinct group and leaders of los Anthrax. if I were El Guano i'd hide from those corrupt idiots. La Guerra de Alfredo Jr, es para vengar a su papa el 7. Los Guzmanes le hicieron mucho,daño a la familia de alfredito. Si Guano tiene 120 pistoleros donde fregados estaban los 300 o 700 sicarios del chapo como dicen los corridos el dia de su captura?? El diablo de el H2, hizo correr a los GN y Antrax muchas veces. Y jamas esta gente anda con que ""compongame mi corrido"", como las divas de culiacan. Que fuerzas Acme, Antrax, GN, power rangers, xmen, liga justiciera, los avengers, en fin de todos no se hacen 1. El Guano is the CDS mascot! Seriously all them fuckers run little groups ion their own and move some weight. They get together and they call themselves the Federation. Much like surenos call each other a whole lot of names all claiming to have BIG BALLS when out on the street and in the end the bow down to La Eme when push comes to shove -at least in Cali. You should see the movie American me if you don't know what I'm talking about with surenos to get at least some grasp on what I'm talking about! Try comprehending the story above. It goes into detail. Crazy, right? Cds is going down fast. is that what the corridos say? Mexican Marina don't run from no one. Remember they are different from the army. You won't see Marina on the street doing Nada. They only come out to play when there is work to be done. So who is El Kevin and why is he so important? Or is chapos brother just so stupid he bring on this much heat over saving a nobody? El guano es hermano del mochomo que esta en la carcel ahora. Guano era mano derecha de arturo cuando estaba vivo y primo del chapo guzman? Que paso con guano y chapo se pelearon los primos? Si parece que se pelearon el Chapo y Guano. Ya ves como son las mujeres! 1114? Good gracious...what intel on guano and guzman's kids can be given that is not already known or can easily be found out by satellite? Sinaloa is more popular than any other place in Mexico. This is all about Guzman's case in the U.S. of A., finding ways to lessen the effects that Guzman is facing in the U.S. of A. with the aim at leniency. Have you heard of skinny joey? 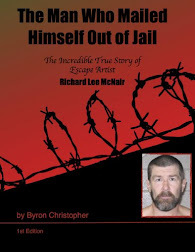 He went straight years ago and was recently picked up on charges for racketeering, by which another entertainer was responsible for yet turned pages to not only receive a door to innocence yet flatter another character in the process due to fear of the other character who happens to be in Mexico. How many other cases are there? Understand? @11:27 Do I understand? No idea what you are talking about. Perhaps I should do a story on EL EME ???? ?